By now, you may already have heard about the amazing benefits of bone broth for dogs, cats, and ourselves. I’ve been regularly providing Dexter bone broth for the last two years. Up until now, I’ve been making his bone broth in my own kitchen. But admittedly, sometimes I run out and don’t have time to make another batch as quickly as I would like. For the last month, I’ve been on the lookout for an organic bone broth for dogs. As luck would have it, Primalvore Premium Natural Pet Foods reached out to me about their new Collagen Boosted Bone Broth. But let me back up a bit and talk about the health benefits of bone broth in general to get you up to speed if you’re new to bone broth. It has been used since the beginning of mankind to nourish the body. It’s no wonder, since bone broth is a powerhouse of nutrition. Bone broth is packed with glucosamine, chondroitin, amino acids, vitamins, and minerals. Bone broth can help heal the gut, boost the immune system, aid in healthy joint support, combat allergies, and even helps with neurological disorders. In my opinion, bone broth should be a part of almost everyone’s regular diet. If your dog has a bout of diarrhea and your vet suggests a little tummy rest, bone broth is a great in-between step when it’s time to start him back on food. Because bone broth is easy to digest, doesn’t have solids, and is loaded with minerals, gelatin, and protein, bone broth can be very beneficial prior to a dog’s regular diet. It’s a great immune-booster too. You can then add the broth to your dog’s regular food as he transitions back to his normal diet. Natural Collagen Peptides: Collagen Peptides are the most bio-available form of collagen, These are easy to digest without damaging the nutritional properties, including the particular group of peptides in the amino acid chain that show the greatest function in the improvement and maintenance of joint health. Clinical studies have shown that the Collagen Peptides that Primalvore uses show improvements in the mobility of older pets when regularly used for 12 weeks. 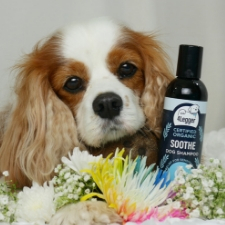 This collagen not only benefits a dog’s joints, but also helps with coat and nail health, and offers a boost of protein. 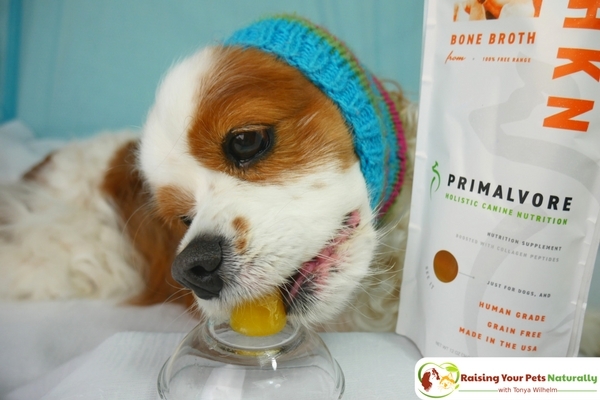 Quality Ingredients: The starter ingredients used in Primalvore’s bone broths are made from humanely raised, human-grade free-range meat bones. The cattle are 100% grass fed and the chickens are 100% free range. The beef and chicken bone broth come from organic cow and chicken bones (no antibiotics or added hormones). Both the turkey and duck bones are also antibiotic- and hormone-free. Organic turmeric is added to the beef, chicken, and turkey bone broths. Turmeric is known for its anti-inﬂammatory properties. Turmeric also boosts antioxidants, which help protect our bodies from free radicals that cause damage. Organic ginger is added to the duck bone broth. Ginger is actually closely related to turmeric and also has anti-inflammatory properties. Ginger is great for gut health by improving digestion and reducing nausea. The antioxidant properties in ginger have been linked to aid in brain health. One study provided rats with a ginger rhizome extract and the results showed that cognitive function and neuron density in the hippocampus of the rats were improved, while the brain infarct volume was decreased. 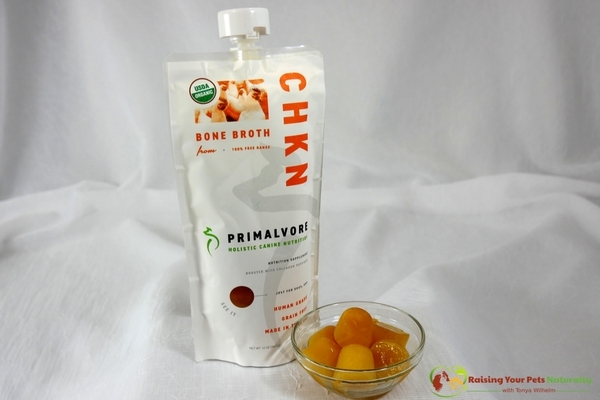 Primalvore’s Bone Broth Process and Packaging: All their bone broth is made with human-grade ingredients and processed in a USDA/FDA approved facility. The nutrient-dense bone broth is made the traditional way, in small batches and slow simmering for up to 20 hours. This process not only provides a roasted flavor and deep color, but also allows the minerals and nutrients to be drawn out of the bones. The longer cooking time also helps the cartilage and gelatin from the bones to break down for easier digestion. The BPA-Free stand-up pouches make this bone broth very convenient. The dog bone broth has an 18-month shelf life without the use of additives or artificial ingredients (see the ingredient label above). This is one of the reasons I connected with Primalvore. I was looking for a quality bone broth for Dexter that I would always have on hand and I could take during our travels. The twist-on and -off cap makes this process great! After opening Dexter’s bone broth and returning the twist-on cap, I squeezed the bag to see if anything would leak out. Nope! I gave it a good hard squeeze, and no leaks. There really aren’t any hard rules about when to give your dog bone broth, but here are a few tips. 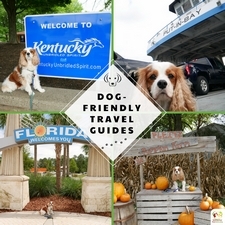 Start out slow, especially if your dog is not accustomed to a change in his diet. 1 ounce of broth per 10 pounds is a good END goal. Try introducing bone broth to your dog starting out with half his daily dose. 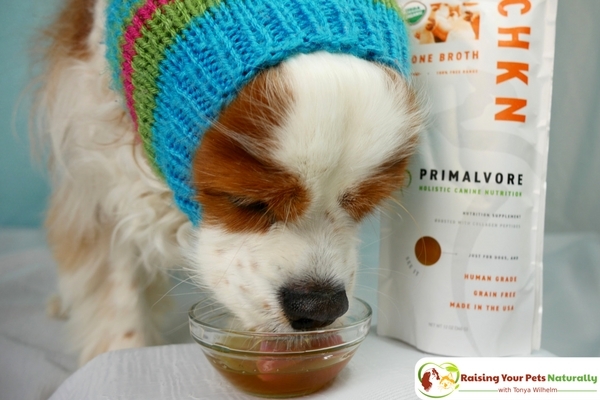 You can add Primalvore’s bone broth directly onto your dog’s food, as a stand-alone snack, or as a drink to hydrate him during an adventure. Refrigerate unused portion for up to 7 days. You can also freeze the extra broth into portion servings if you have leftovers. This ensures you don’t waste any of the nutritional broth. 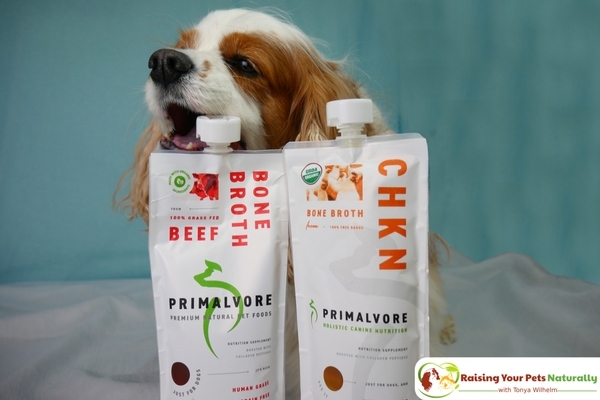 Dexter thoroughly enjoyed Primalvore’s Chicken Bone Broth. 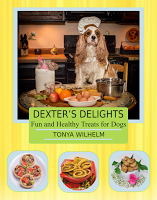 It was easy to use—I just poured some over Dexter’s breakfast and he eagerly lapped it up. 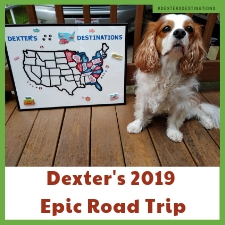 I am saving Primalvore’s Beef Bone Broth for our next vacation, so I can easily provide Dexter his daily bone broth on the road. I’m also planning on using a splash in Dexter’s portable water container to encourage him to drink more during our summer outings. For whatever reason, he can be a stink-pot at drinking during adventures. I’m sure with a bit of bone broth, that won’t be an issue. 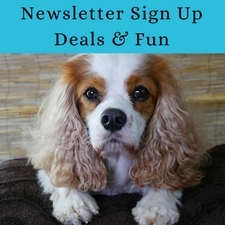 Visit Primalvore today to boost your dog’s health. Use Promo Code: DEXTER for 20% OFF Your First Order. Have you or your pets had bone broth? Tell me in the comments. First of all what a sweet little pup. I miss my dog so much. I had never heard of bone broth for dogs. Will have to remember that if we get another pup. ohmgeee. your bubba is just the cutest! He must really love it huh? I will definitely have this tried by my 2 chihs! Thank you. yes, your little ones would love it! Your dog is adorable, I never knew that dogs would love broth since I’m not a pet owner but it’a good to know since broth itself is really beneficial even for us. Thank, you. Yes, bone broth is so healthy and tasty. Very meaty tasting for the pups. I didn’t know about this. I’ll have to share the post with my friends who have dogs. I only have cats! I didn’t know all of this, this is all great info. Sadly I have a cat, no dogs but my best friends have dogs so I will pass this along to them. So happy to share! Yes, great for your lab’s joint health! I had no idea that bone broth was so beneficial! I will have to get my furbaby some! Fantastic! Yes. It’s always great to stay proactive with their care. 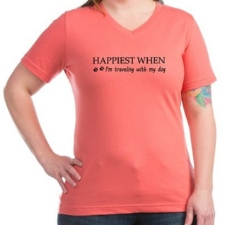 🙂 I’m sure your furbaby will enjoy. I have to admit I’ve never heard of bone broth before but I am thinking Sal might like to have some of this drizzled on her oh so boring biscuits! And even better that it is good for her. You dog is so cute and it makes me want one. This is a great and informative post. I am sure that your furry baby appreciates it. Thanks, Sela. He sure does. When I’m in the kitchen, he assumes it’s for him. He’s usually right. Aw this is so cute they come in the pouches like the new kiddie snacks. I know dogs like bone but never thought of bone broth! Your dog is so adorable. I had no idea they made so many great things for dogs. It’s unbelievable. Thank you. Yes, and great brands keep bringing new and healthy items to the market. i had no idea that such a range existed for dogs. the health benefits are a definite plus. I love giving our pup the right nutrients. I like that they have this option available. Curious if our girl would like it. She’s a little picky with what she eats. Your dog really is adorable. I know I have heard a lot of things about bone broth but not so much for pets. I can imagine this would be really good for my dog though. I will have to see if I can find some at the store we get him his food. Thanks, David. I’m super excited to help introduce Primalvore, they are a new brand. If they are not local, they do ship and there is a 20% discount using DEXTER. 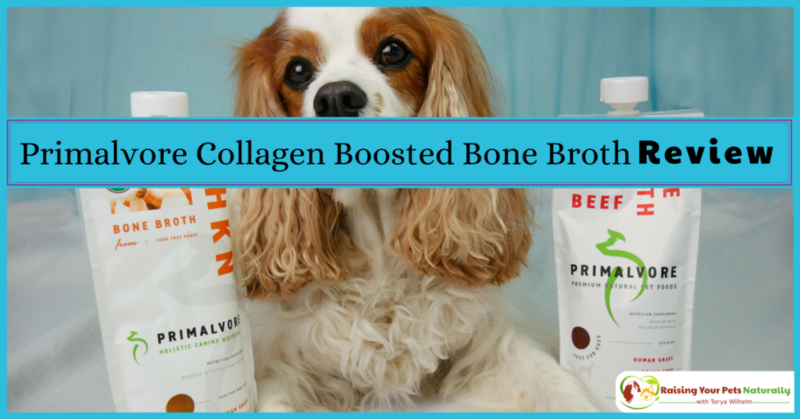 I’m sure your pup will enjoy and benefit from this collagen boosted broth. This is very informative. I am trying to give my dog some bone broth too. Thanks for sharing. 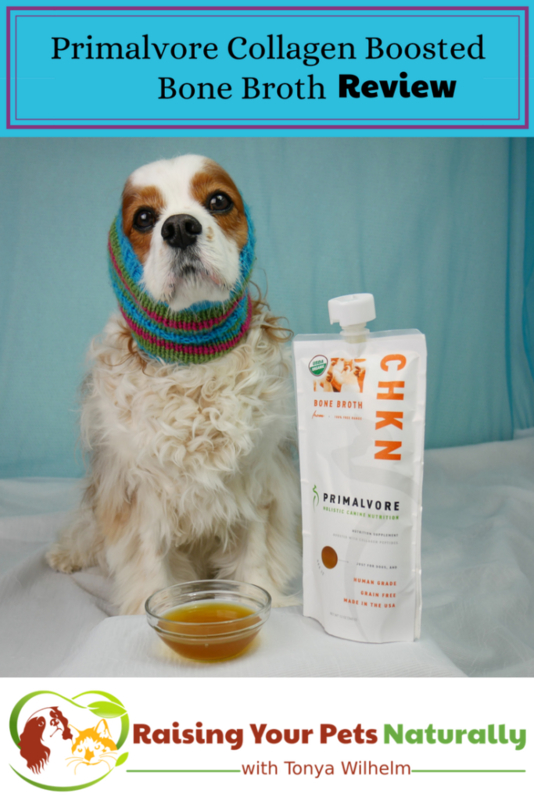 Thank you for this post about the Health Benefits of Bone Broth for Dogs ! It’s such a good and the information that you have provided is enriching. This is definitely going to be very helpful in our planning. Appreciate bloggers like yourself! Thanks, Stephanie. Glad to help.